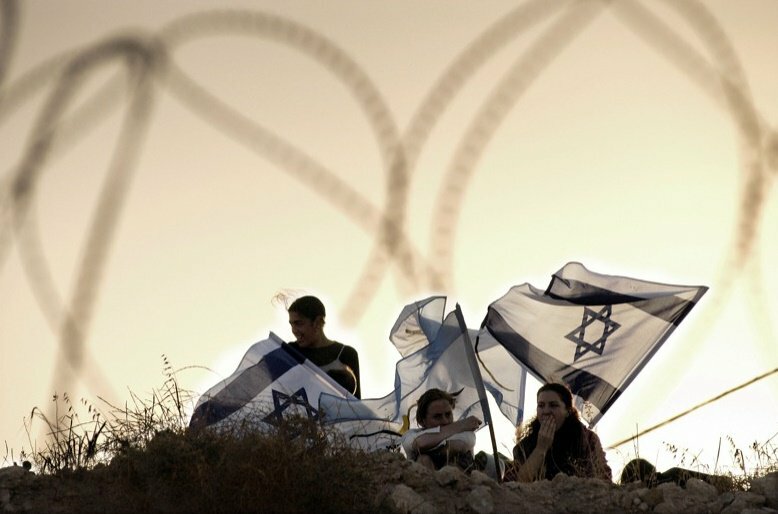 Over the last decade, populist and nationalist rhetoric has swept Israeli society, along with hardline legislation and policies. The main targets include Israeli minorities such as its Palestinian-Arab citizens, migrants and asylum seekers; the Palestinian people beyond the Green Line, and its leadership; and people and values associated with the political “left”, including the Israeli human rights community. After the bombs stopped falling in Gaza in winter of 2009, another kind of attack began. Resentment against Israeli organizations defending the rights of Palestinians under occupation took on a new tone of rage. Polling showed that these organizations had markedly low levels of support, even among traditionally sympathetic sub-groups. Concerned activists embarked with me on a year-long strategic process in 2011 to consider whether and how to engage differently with Israeli society. When I checked in with Israeli human rights leaders in 2015, most continued to struggle with the question of how best to interact with their own society, if at all. For many, local and international policymakers, or opinion formers were the more valuable audiences. Then, in early 2016, I conducted a public opinion study for B’tselem, Israel’s oldest human rights group dealing with occupation-related violations. We used mixed-methodology (internet and telephone) to survey 700 Israeli respondents (500 Jews, 200 Arabs) in February and March 2016, with a margin of error of +/- 4.4. We did not replicate the 2011 survey (which was a Jewish-only sample, telephone-only and a different data-collection company), but we did revisit some of the questions from 2011, allowing us to look at what has changed. The methodological differences could account for marginal differences in the data, but significant shifts can be viewed as a genuine direction of change. When asked specifically about human rights organizations—still without specifying any connection to Palestinians—the numbers had again dropped ten points, from 41% favorable in 2011, to 31% in 2016. The concept of “human rights” is often identified with left-wing, pro-Palestinian, “haters of Israel”. These findings reflect how much the notion of “human rights” has been relentlessly targeted by Israeli civil society figures in the name of mainstream “Zionism”, and by political leaders claiming to represent the broad political center-right. In these circles, and more broadly, the concept of “human rights” is often identified with left-wing, pro-Palestinian, “haters of Israel”. But the 2016 survey does offer a few interesting indicators of support for human rights, if one looks hard enough. First, among the 17% of the total sample, including Jews and Arabs that self-define as politically “left-wing”, (“left” and “moderate left” combined) most favor the concept of human rights (56%) and human rights organizations themselves (60%). Moreover, among the 26% of the Jewish population who self-define as political centrists, a similar majority (57%) support the notion of human rights. The most controversial concept tested here was human rights organizations defending Palestinians under occupation. For this fairly despised group, the 2016 survey actually showed almost no significant drop: 16% of Jews gave it a favorable rating, just four points lower than in 2011, and hovering around the margin of error. When we include Arabs in the analysis, 21% of Israelis are favorably disposed towards these organizations. In the current environment, which includes an onslaught of negative campaigning, that is a small but significant minority. “One in every five people” is a figure that rights groups can work with. Among the political right, just one-third support the general term, “human rights”, and only 25% support human rights organizations in general. A paltry 5%, moreover, are favorable towards the groups serving Palestinians. This divide casts a long shadow over Israeli society—since 41% of the entire sample considers itself right wing, and among Jews, fully half. (The same ideological breakdown as 2011). Further, a greater percentage of younger people self-define as right wing, while Arab citizens of Israel increasingly decline to self-identify politically at all. But the 2016 B’tselem survey also revealed some genuinely surprising findings. Respondents knew more details about developments in the West Bank and Gaza than expected. Many Jewish citizens living inside the Green Line (“Israel proper”) do not actually see the occupation firsthand on a daily basis, and the conflict often appears low on the national list of priorities (ranking only fourth in the current survey out of a list of national issues). Yet data showed that they were aware of the spread of settlements, the circumscribed control Palestinians have over their own lives, and the dependence of Gaza on Israel. Further, they did not appear naïve about the government’s intentions to avoid a two-state solution: nearly half said the government was seeking to perpetuate the status quo (44%), more than twice as many as those who said the government was working towards two states (21%). Most surprising were responses to the question: “Do you support, or oppose, equal rights and laws for Palestinians and Israelis under Israeli control in the West Bank/Judea & Samaria?” Despite all the anger in the air, an absolute majority (55%) said they supported this kind of equality, while just over one third opposed it. The remainder weren’t sure. The finding did not rest on the Arab sample, as a plurality of Jews (49%) supported it , compared to 40% opposed. Over 80% of Arabs with Israeli citizenship support such equality, raising the sample total to 55%. The core groups who oppose Palestinian equality, rights and political claims are the religious and politically right wing – there is significant overlap among them. Questions about Palestinian rights are among the very issues that define the left-right spectrum in Israel. Yet even among the right-wing and religious groups, over one-third supported equality of laws and rights for all. Further, the notion of “equality for all” unifies the center and political left by a healthy majority, as 69% and 79%, respectively, support the idea. Why, then, is there so much overt hostility towards the words “human rights”, but greater acceptance of policies based on similar values? One answer lies in the simple fact of human contradictions, but there is more. In public discourse everywhere, platitudes commonly replace substance. When far-right leaders rabble-rouse by deriding “human rights”, right-wingers follow their lead. But when the tainted terminology is stripped away to reveal the actual values, the policies themselves apparently don’t seem so threatening. The numbers suggest a rational, measured response rather than emotional auto-reject. It could be that shifting away from overused terms whose meaning has been tainted, to less fraught terminology, helps in some cases. In other cases, specific policy advances may be more effective than forcing the public to accept a concept it resents. Finally, these observations contradict an earlier point from 2011: in that survey, support for the concept of “human rights” was high in theory, but people resented the actors and implementation of human rights-oriented policies. In 2016 there is evidence of the opposite: increasing resentment of the rhetoric and slogans, probably due to years of flattened meaning and political attacks, but perhaps growing acceptance of the need for human rights-related values in practice. If this change is genuine, it’s a welcome one.